It'll be "So long" to the Pet Center and the diner run by the Robbinsdale Order of the Eastern Star, "Hello" to a new aircraft-themed restaurant and a new restroom building for the Great Minnesota Get Together for 2018. The Minnesota State Fair board met and approved the changes Tuesday, to prepare for the Aug. 23 opening of the fair. 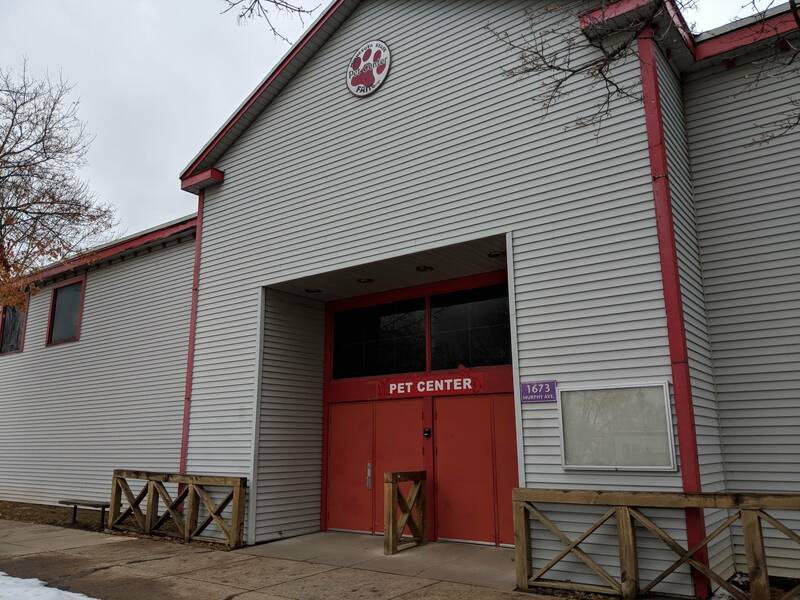 The biggest change: the Pet Center, a one-time airplane hangar on the fairgrounds, is being repurposed. The vendor that runs the nearby Texas Steak Out stand is opening a flight-themed restaurant in the building, along with a second location for the Minnesota Craft Brewers Guild. A popular attraction on the north side of the fair, the pet displays are being moved across the street to a pair of pavilions, comparable to the CHS Miracle of Birth Center on the other end of the fairgrounds. "One for the animals themselves, and one for commercial," said Dennis Larson, license administration manager for the fair. He said there will also be "a larger green space for all the agility contests and all the show and tell and the K-9s and all that with better bleacher space and so on." The change will mean a transformation on the north end of the fair. The Giant Sing Along is moving further towards the center of the fair, on the same block. That will make room for a new restroom building that will replace a wooden building nearby. The fair board made another historic change Monday as well: it bought the dining hall from the Robbinsdale Order of the Eastern Star. It's one of the remaining three traditional dining halls left among what were once 87 dining halls on the fairgrounds, almost all run by local churches. The OES diner has been in the same location for the last 80 years, although the building itself dates to the 1960s. Michael Powles, treasurer for the organization that runs the dining hall, said the OES had trouble staffing the operation with volunteers in recent years as its membership aged and declined. "Profits have been declining in recent years," he added, noting that it had been a key source of finance for the chapter. "We have to evaluate where we go now." The fair also sold the building, for the same $59,000 appraised value, to the fair's Pronto Pup supplier. That vendor had a stand on the boulevard in front of the dining hall, but will move its retail operations to the front of the building and run its manufacturing facility in the back. That's the operation that supplies all the batter and hot dogs to the other Pronto Pup stands around the fairgrounds. "It'll be a much better, central location," Larson said. Construction is already underway on the new restroom building. The new restaurant, the new Pet Pavilion and the new Pronto Pup operation are expected to be ready for this year's fair.